Gift cards are great gift idea for any occasion! They are available in any amount. Give a gift and get a gift: Get a free wash ($9 value) with a gift card purchase of $40 or more. 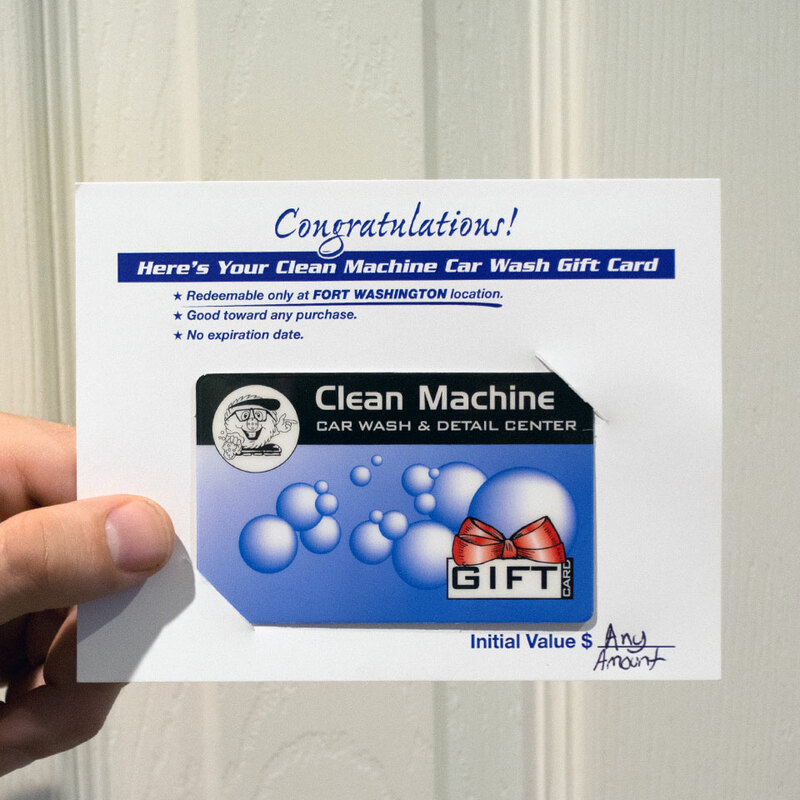 Gift cards can be redeemed for any of our services, including interior and exterior washes, express detailing, and professional detailing. Save money on all of our services! Reloadable prepaid cards are available in any amount. Load $25 or more, and we’ll add an extra 20% to the card balance. 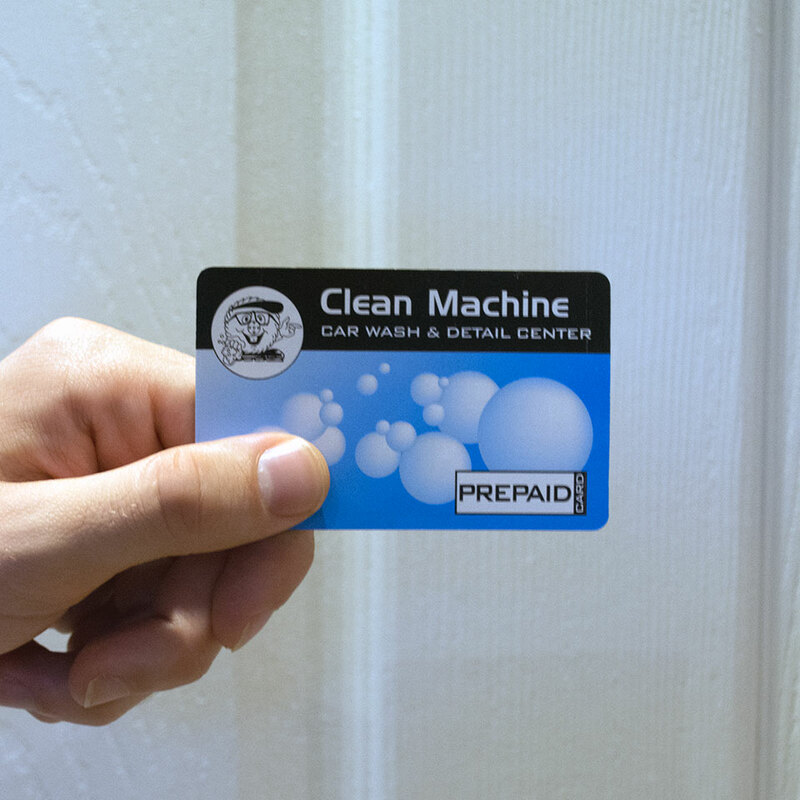 Prepaid cards can be redeemed for any of our services, including interior and exterior washes, express detailing, and professional detailing.